AcuRO Health Plus utilizes all-natural mineral stones to normalize pH of water to mildly alkaline - thus creating healing, restorative water that both hydrates and balances your body's pH for optimum health and vitality. 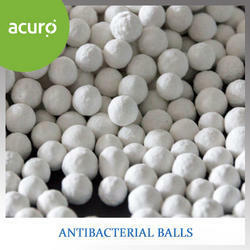 ACURO'S Rice Balls has an anti-bacterium effects. Emits beneficial infrared to energize the water. Promote multiplication of the intestinal beneficial microorganisms, produce an immune regulatory factors to enhance the human blood circulatory system, digestion and absorption, drainage metabolism, etc. Contains proteins which can be used as a component in oral rehydration solutions which are used to treat diarrheal diseases, thereby shortening their duration and reducing recurrence. Such supplements may also help reverse anemia. ACURO'S pH Booster balls boosts the pH of water making it mildly alkaline.Alkaline water can help neutralize over-acidity in the body caused by stress, modern diet, air pollution, and acidic bottled water. Should wash with clean water twice before first use. Then can be directly used for treating drinking water. For activating, purifying and mineralizing drinking water. ACURO'S Health Plus utilizes all-natural mineral stones to normalize the pH of water to mildly alkaline – thus creating healing, restorative water that both hydrates and balances your body's pH for optimum health and vitality. Mineral Balls aid in the oxygenation of water. Ionized minerals help oxygenate and fortify water. It contains calcium, iron, magnesium, potassium, zinc and other trace minerals. Continually releases easily absorbed ionized minerals. World Health Organizations recommends drinking water with calcium, copper, iron, magnesium, manganese, selenium, sodium, potassium and zinc, all essential to a healthy human body. SILIPHOS is an economic and reliable water treatment system for potable and industrial water. 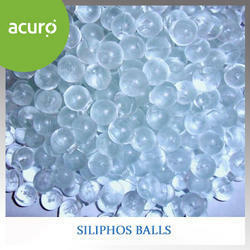 It consists of glass-like polyphosphate silicate spheres and dispensers of variable size. SILIPHOS prevents scale and stops corrosion. It utilizes the phenomenon that minute concentrations of polyphosphates are sufficient to inhibit the deposition of scale onto metallic surfaces. a thin protective layer on the metal surface. SILIPHOS will also slowly remove existing scale in old pipes if it consists of brown scale, i.e. Ironoxide. Hard scale, i.e. calcium carbonate cannot so easily be removed by SILIPHOS. Advantage is again that SILIPHOS will prevent further scaling up. Polishes water for brilliant clarity and sparkle. Infuses water with natural silica – popular for strengthening collagen for radiant skin, hair and nails. Stage 1 - Pelletized Activated Carbon:<br /><br /> Highly porous pelletized activated carbon.<br />Removes chlorine, herbicides, pesticides, pharmaceuticals, industrial chemicals Trihalomethanes (THMs), heavy metals, organic chemicals, odor, colour and particulars.<br />Contains a copper-zinc filter medium that inhibits the growth of bacteria in the filter.<br /><br />Stage 2 - Charge Sand:<br /><br /> Provides additional filtration.<br />Polishes water for brilliant clarity and sparkle.<br />Infuses water with natural silica - popular for strengthening collagen for radiant skin, hair and nails.<br /><br />Stage 3 - CHEMIRO Mineral Balls:<br /><br />CHEMIRO Mineral Balls aid in the oxygenation of water.<br />Lonized minerals help oxygenate and fortify water.<br />It contains calcium, iron, magnesium, potassium, zinc and other trace minerals.<br />Continually releases easily absorbed ionized minerals.<br />World health Organizations recommends drinking water with calcium, copper, iron, magnesium, manganese, selenium, sodium, potassium and zinc, all essential to a healthy human body.<br /><br />Stage4 - CHEMIRO Rice Balls:<br /><br />CHEMIRO Rice Balls has an anti-bacterium effects.<br />Emits beneficial infrared to energize the water.<br />Promote multiplication of the intestinal beneficial microorganisms, produce an immune regulatory factors to enhance the human blood circulatory system, digestion and absorption, drainage metabolism, etc.<br />Contains proteins which can be used as a component in oral rehydration solutions which are used to treat diarrheal diseases, thereby shortening their duration and reducing recurrence. Such supplements may also help reverse anemia.<br /><br />Stage5 - CHEMIRO pH Booster:<br /><br />CHEMIRO pH Booster balls boosts the pH of water making it mildly alkaline.<br />Alkaline water can help neutralize over-acidity in the body caused by stress, modern diet, air pollution, and acidic bottled water. 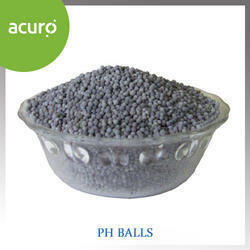 <b>Stage 1 - Pelletized Activated Carbon </b><br /><br /><ul><li>Highly porous pelletized activated carbon. </li></ul><ul><li>Removes chlorine, herbicides, pesticides, pharmaceuticals, industrial chemicals trihalomethanes (thms), heavy metals, organic chemicals, odor, colour and particulates. </li></ul><ul><li>Contains a copper-zinc filter medium that inhibits the growth of bacteria in the filter. 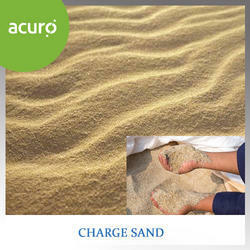 </li></ul><br /><br /><b>Stage 2 - Charge Sand </b><br /><br /><ul><li>Provides additional filteration. </li></ul><ul><li>polishes water for brilliant clarity and sparkle. </li></ul><ul><li>Infuses water with natural silica - popular for strengthening collagen for radiant skin, hair and nails. 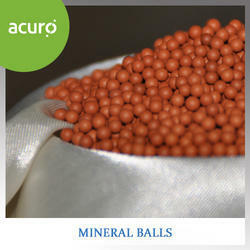 </li></ul><br /><br /><b>Stage 3 -ACURO Mineral Balls </b><br /><br /><ul><li>ACURO mineral balls aid in the oxygenation of water </li></ul><ul><li>Ionized minerals help oxygenate and fortify water. </li></ul><ul><li>It contains calcium, iron, magnesium, potassium, zinc and other trace minerals. </li></ul><ul><li>Continually releases easily absorbed ionized minerals. </li></ul><ul><li>World health organization recommends drinking water with calcium, copper, iron, magnesium, manganese, selenium, sodium, potassium and zinc, all essential to a healthy human body. </li></ul><br /><br /><b>Stage 4 - ACURO Rice Balls </b><br /><br /><ul><li>ACURO rice balls has an anti-bacterium effect. </li></ul><ul><li>Emits beneficial infrared to energize the water. </li></ul><ul><li>Promote multiplication of the intestinal beneficial microorganisms, produce an immune regulatory factors to enhance the human blood circulatory system, digestion and absorption, drainage metabolism, etc. </li></ul><ul><li>Contains proteins which can be used as a component in oral rehydration solutions which are used to treat diarrheal diseases, thereby shortening their duration and reducing recurrence. Such supplements may also help reverse anemia. 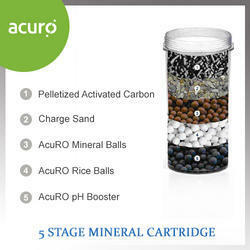 </li></ul><br /><br /><b>Stage 5 - ACURO PH Booster </b><br /><br /><ul><li>ACURO PH Booster balls boosts the ph of water making it mildly alkaline. </li></ul><ul><li>Alkaline water can help neutralize over-acidity in the body caused by stress,modern diet, air pollution, and acidic bottled water. </li></ul><b><br />Storage</b><br /><br />Keep in dry, cool place. <br /><br /><b>Instruction for use<br /></b><br />Should wash with clean water twice before first use. Then can be directly used for treating drinking water. <b><br /><br />Application<br /><br /></b>For activating, purifying and mineralizing drinking water. 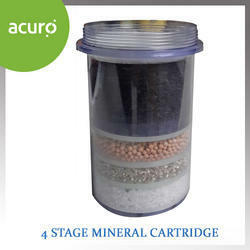 ACURO health plus utilizes all-natural mineral stones to normalize the ph of water to mildly alkaline - thus creating healing, restorative water that both hydrates and balances your body's ph for optimum health and vitality. Looking for RO Mineral Balls And Catridges ?